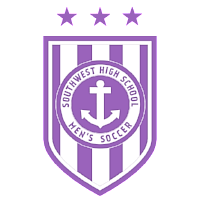 This contact information is being collected by Southwest Men's Soccer Boosters and will be used for pre-season communication. After teams are formed, we will switch to Team Snap. If your player is placed on a team, the email address you provide below will receive the Team Snap invitation. Player cell information may be used by team captains for team-related communication.